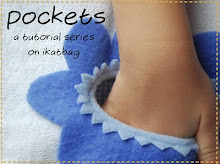 Welcome to the first installment of the Pockets Series! Patch pockets are the most visible of all pockets because they are entirely on the outside of a garment. They can be made of the same fabric as the garment, and artfully camouflaged or out of a contrasting fabric so they stand out and make a statement. 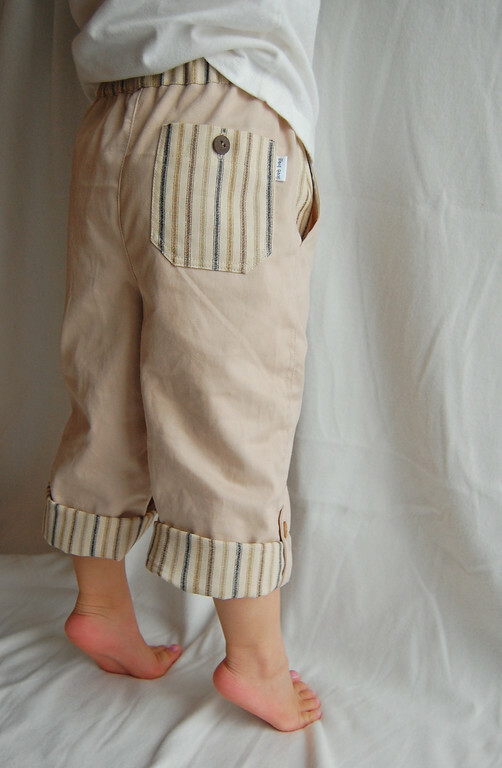 They are probably also the most adaptable kind of pocket, which makes them fun for children's clothes. When I was a little girl, my grandmother made some of my dresses. 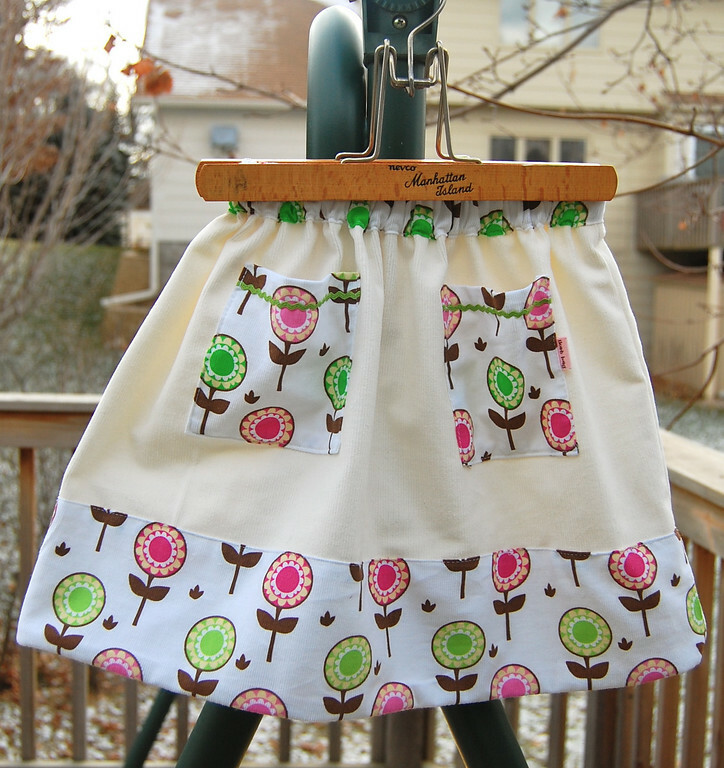 On these, she'd embroider an entire scene on the skirt portion, in which she'd hide a patch pocket. Sometimes it would be a beehive, or a cottage, and it was so cleverly integrated into the embroidery that I'd have to search to find it. What fun it was to finally tuck my hand into the pocket when I found it! Patch pockets are, by definition, any pocket made by taking a piece of fabric and sewing it onto the outside of a garment. Most of the perimeter of this piece is sewn closed, leaving a small portion (usually the top edge) open for inserting a hand. 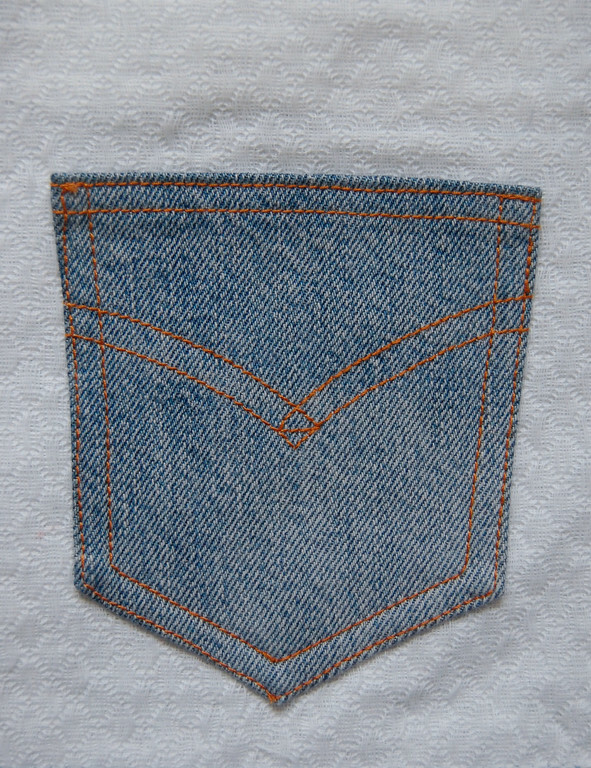 Patch pockets can be rectangular, square, circular or have an unusual shape. 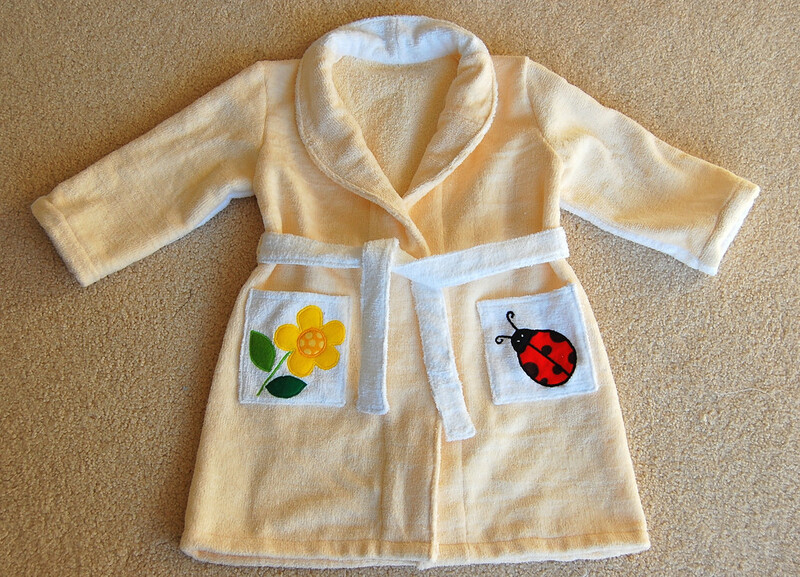 They can be unlined, lined, have flaps, gussets, zippers, buttons, velcro, snaps. 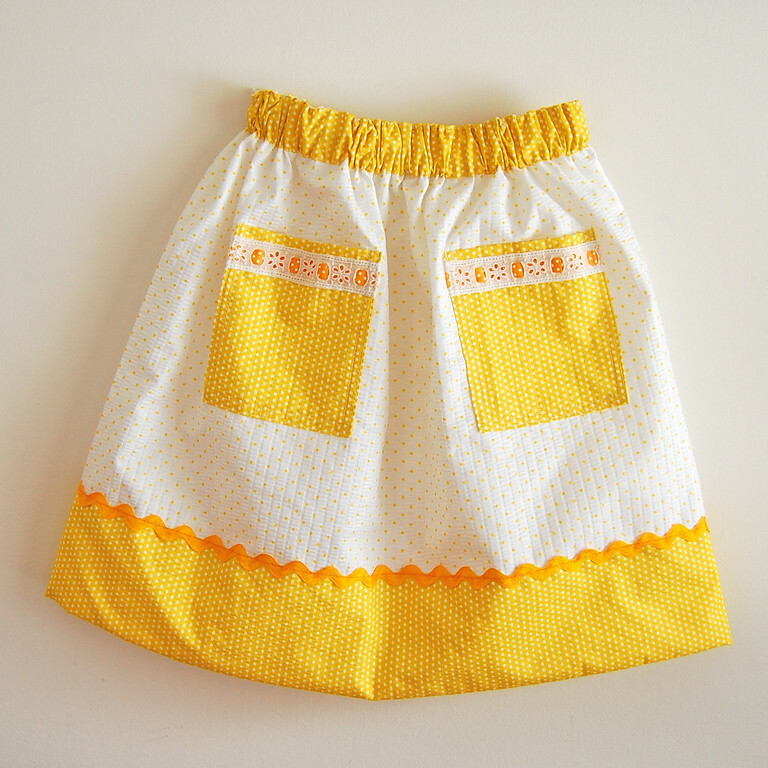 They can have yokes, into which are tucked gathers, pleats or smocked fabric. 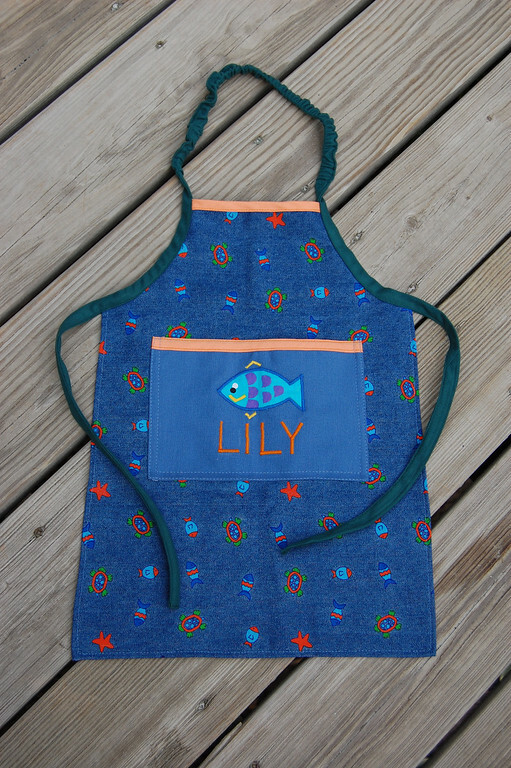 They can be plain, appliqued, embroidered, painted. 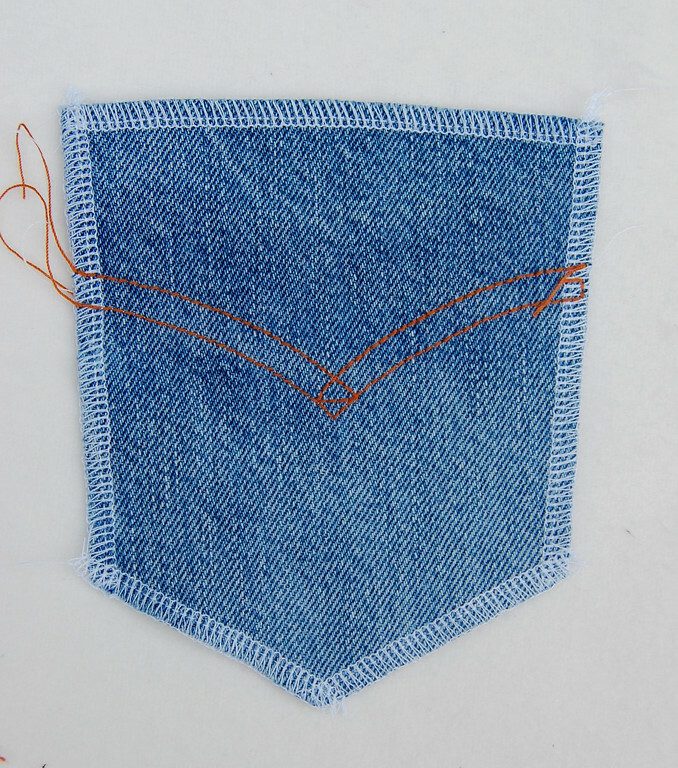 There are very few rules for patch pockets, and can be sewn precisely or imprecisely. 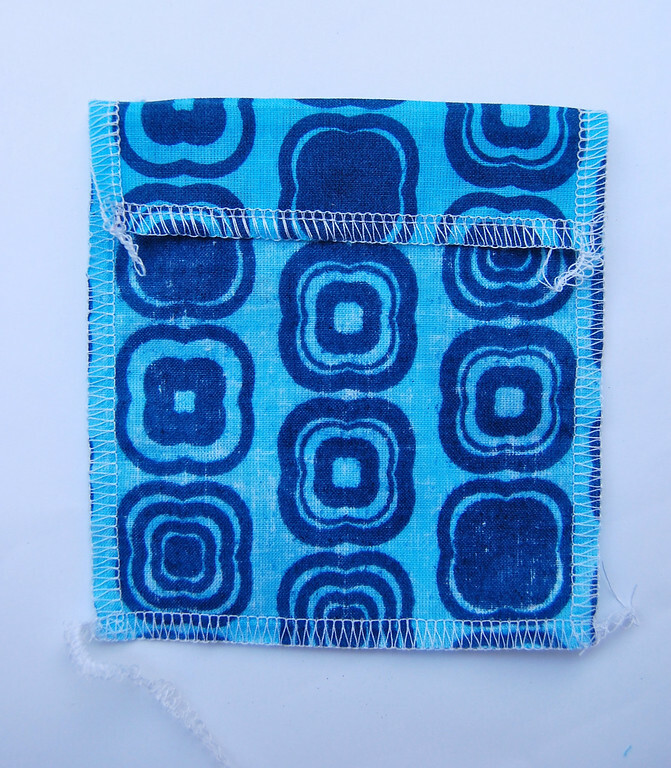 While they are not the simplest kind of pocket (the in-seam ones are!) 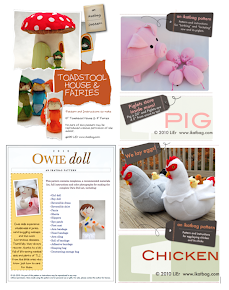 they are perfect for beginning seamstresses because of how literal their construction is. 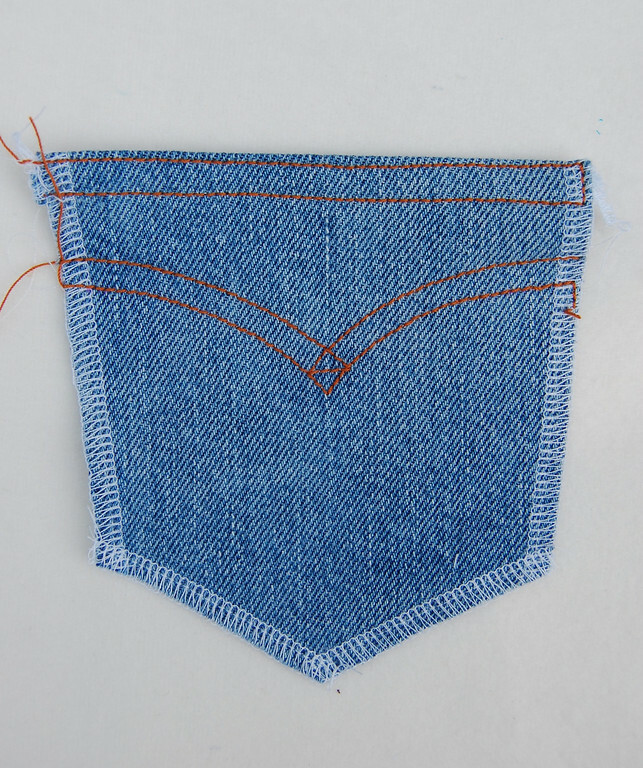 In this post, we'll be making the classic patch pocket, which is a rectangle with a simple opening at the top. This one has no lining - so those of you folks who MUST line your pockets will have to wait two more posts. Decide on the size of your pocket. I often use the wearer's hand as a gauge. Add seam allowances - usually about 1/4" to 1/2" - on the sides and bottom. 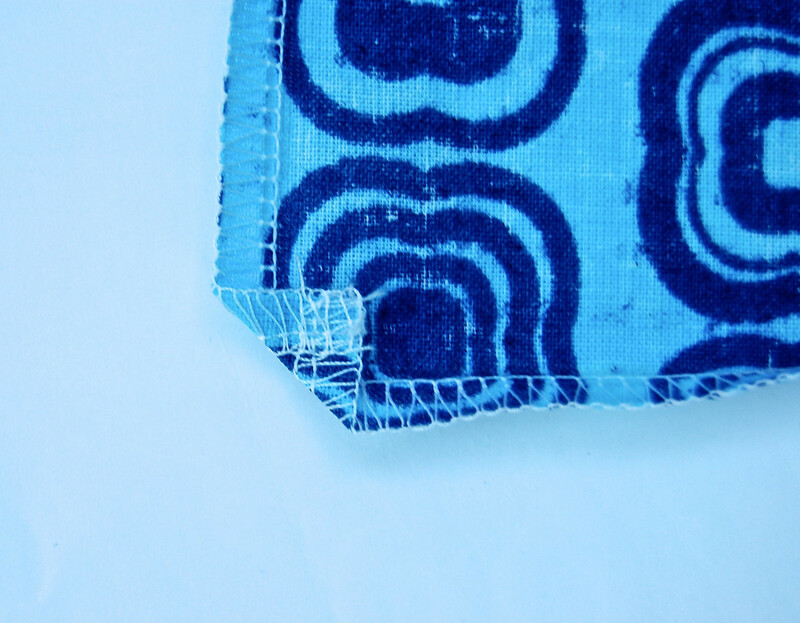 Add a hem allowance for the top edge - usually about 1"- 1.5" - so it can be folded in, tucked under and sewn down. Serge (or otherwise finish) the edges. Fold the hem allowance down to the wrong side of the pocket. Here is the wrong side of my pocket, showing the serged edges, and the top edge folded down. 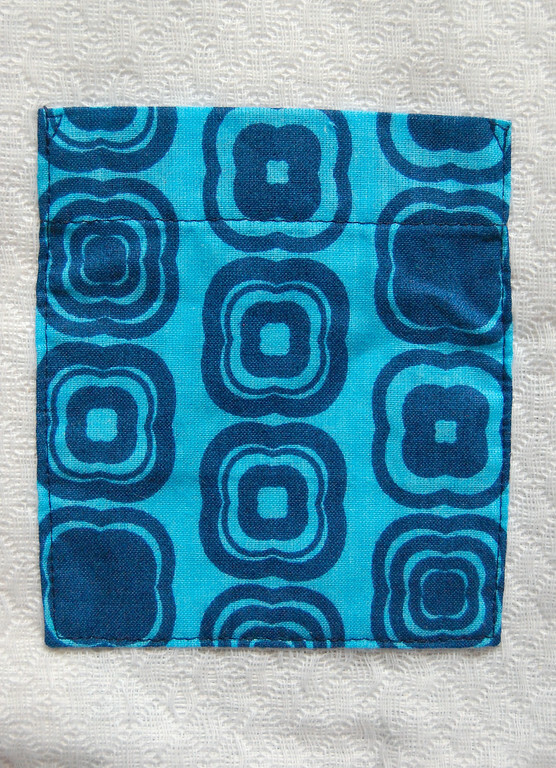 This pocket has a wide hem - about 1" wide. Scroll down to a later part of this post to see a narrower hem on a different pocket. I usually tuck in the top serged edge under the hem to hide it, but you could also leave it out if you are feeling especially casual. 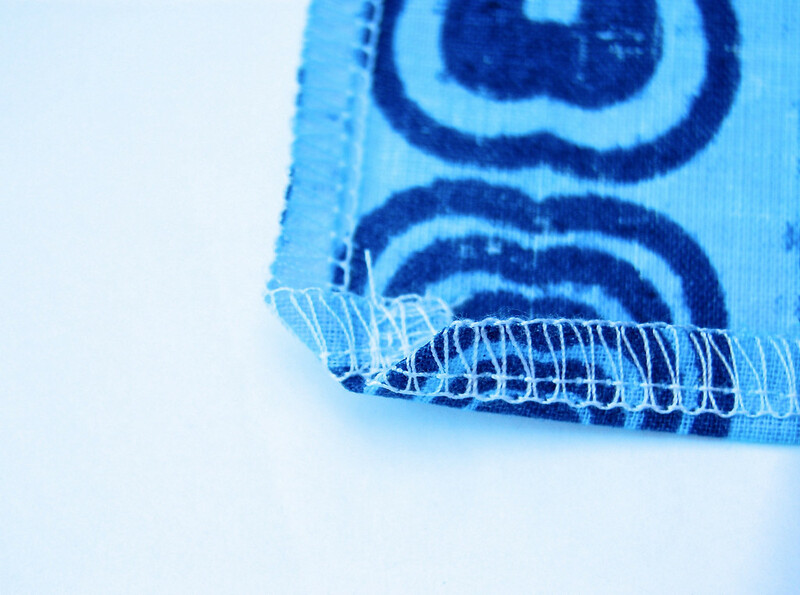 Sew down the lower folded edge to secure the hem. 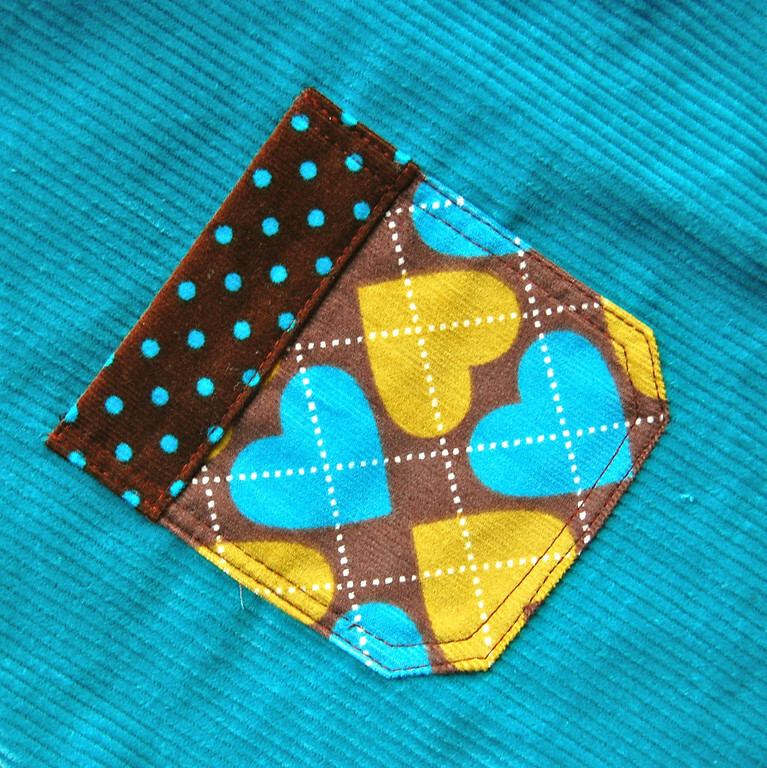 Here is the right side of the pocket showing that stitching line. Here I will show you the more elegant way to fold in the sides and corners of a rectangular pocket. Those of you who make quilts probably already have this written into your sewing DNA. I don't always do my corners this way. Sometimes I am too lazy to get the ironing board out, in which case I might just fold the corners square, smash them flat with my seam-ripper-tucked-under-the-presser-foot, and floor the pedal. Inelegant, but also effective. Fold in the corner to the wrong side of the pocket. Press (with iron) everything down. Flip the pocket over to the right side, pin it in place on the garment, and top-stitch all around the sides and bottom edge to secure it. I like to make little triangles with my stitching at the top corners of the pocket to reinforce those points against wear and tear. 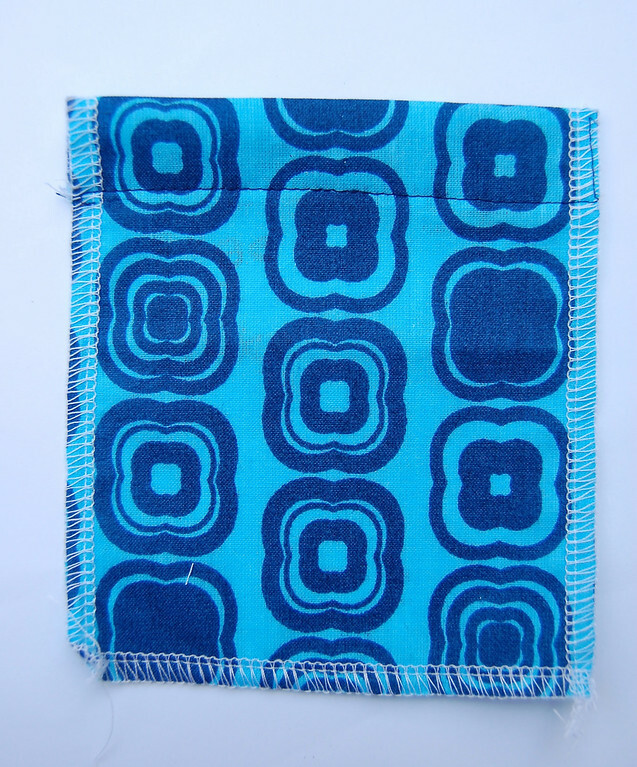 And that is how I make a no-frills rectangular (or square) patch pocket. 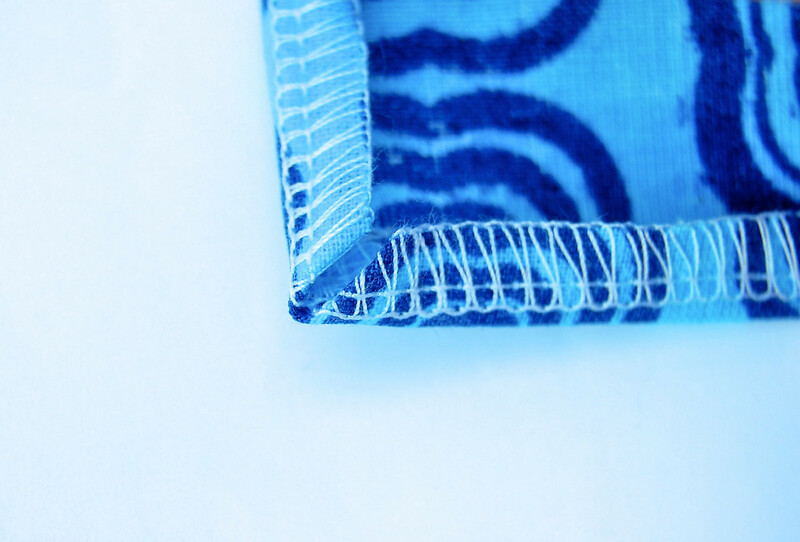 Fold hem and top-stitch the hem down. This is a narrower hem than the first pocket we did in this post. 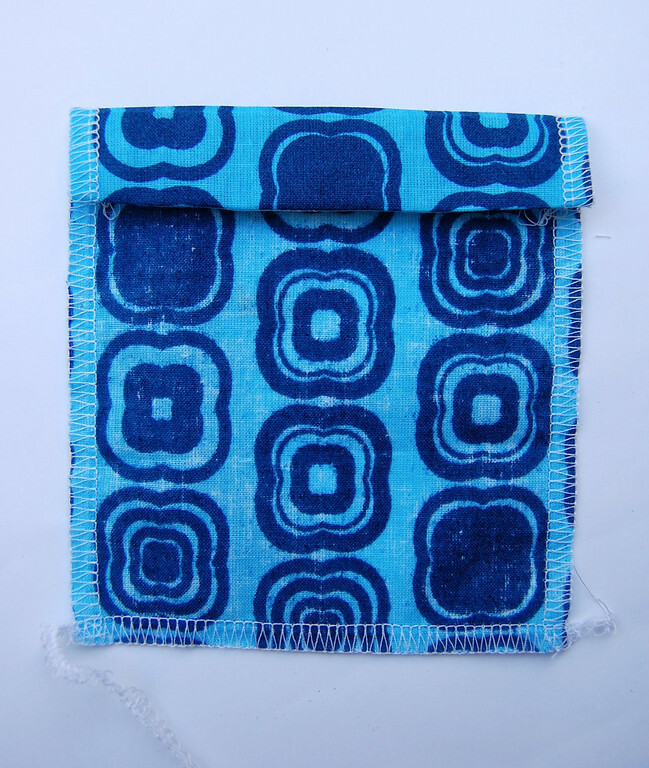 Fold in the sides and bottom, press, pin in place, and sew down. 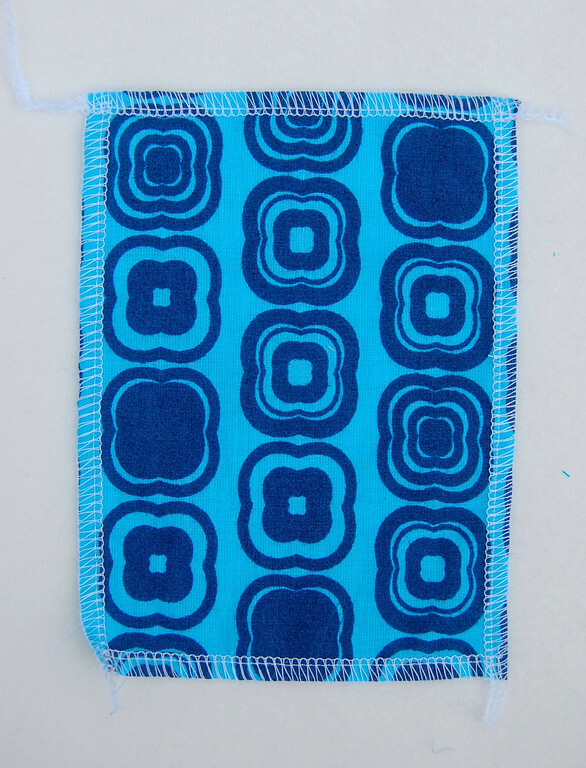 So lots of ways to jazz up even a straight-edged patch pocket. What cute ideas! Simple variations can make such a difference. Thanks! The dresses your grandma made sound amazing! Any chance you have photos of them? I use these pockets a lot but never fols the corner like that. Just tried it and love it we beautifuller then how I do it normal!!!! I wish I had read this before I sewed on some pockets yesterday! I love your hint for the corners. great timing! 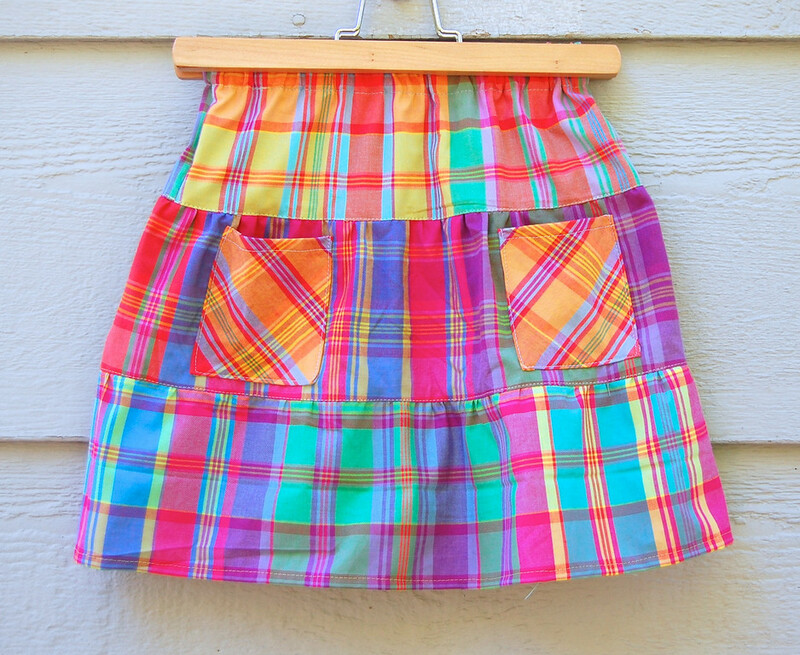 I just finished making a couple tiered skirts for my nieces but knew I should add some pockets after seeing all your cute skirts with pockets. thanks for the inspiration! Laura: Sadly, no. I think they were given away to random friends of the family once they were outgrown. Pity. Thank You! 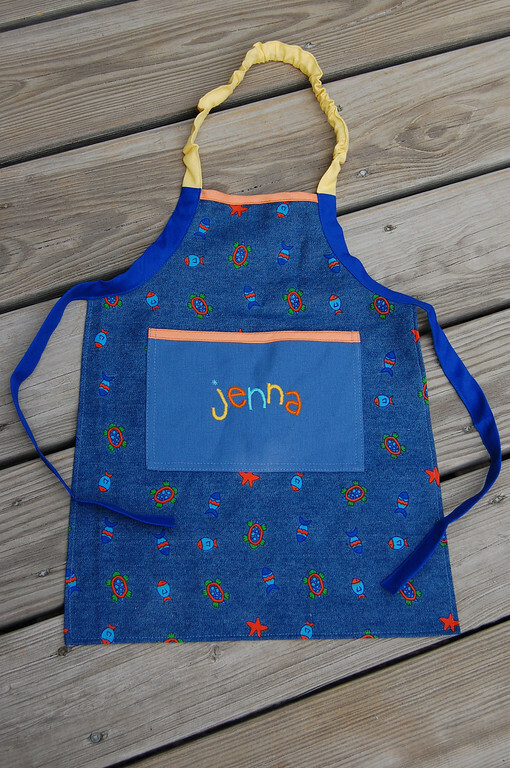 Really helped with my apron! Thank You! 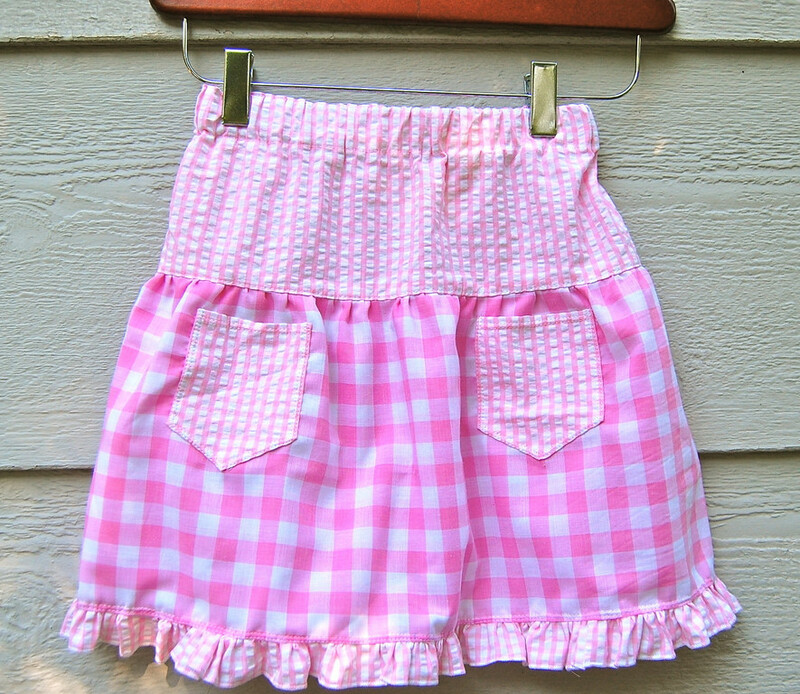 It really helped me with my pocket on my apron!